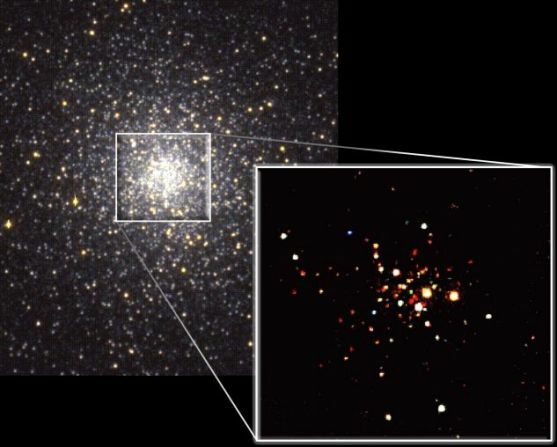 Explanation: A deep optical image (left) of 47 Tucanae shows an ancient globular star cluster so dense and crowded that individual stars can not be distinguished in its closely packed core. An x-ray image of its central regions (inset right) from the Chandra Observatory reveals a wealth of x-ray stars hidden there. Color-coded by energy, low energies are red, medium are green, and high energy cosmic x-ray sources are blue, while whitish sources are bright across the x-ray energy bands. The x-ray stars here are double stars or "compact" binary star systems. They are so called because one of the pair of stellar companions is a normal star and the other a compact object -- a white dwarf, neutron star, or possibly a black hole. 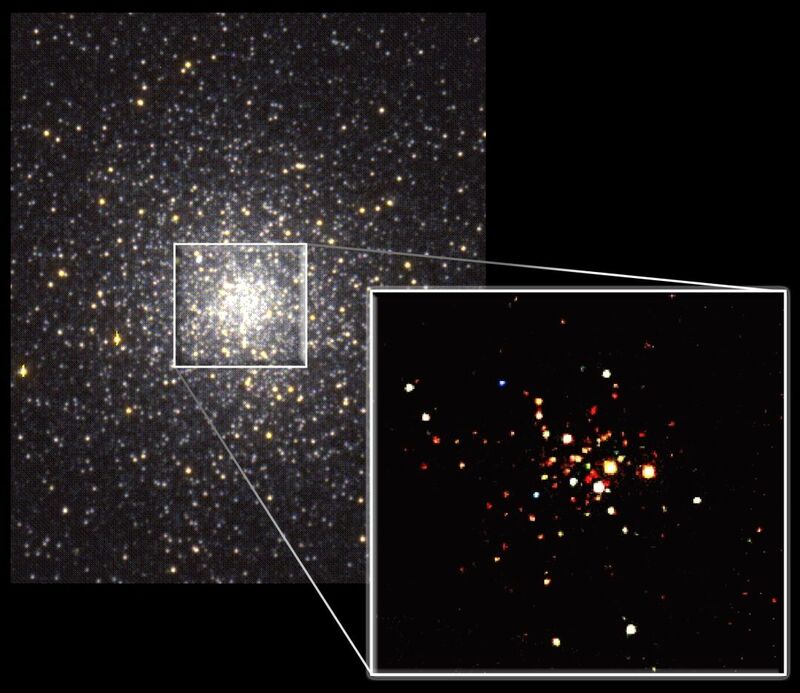 Chandra's x-ray vision detects the presence of an unexpectedly large number of these exotic star systems within 47 Tucanae, but it also indicates the apparent absence of a large central black hole. The finding suggests that compact binary star systems of 47 Tucanae may be ejected from the cluster before coalescing to form a large black hole at its core.